Designed to integrate with your existing TDU/BDU, the Rapid Assault Shirt from 5.11 Tactical is engineered to provide structured, flexible support during tactical operations or training exercises. Built-in mesh vents under each arm maximize air flow to increase breathability, keeping you cool throughout your mission. A flexible saddle shoulder design won’t limit or impinge on freedom of movement, giving you maximum mobility in any setting. 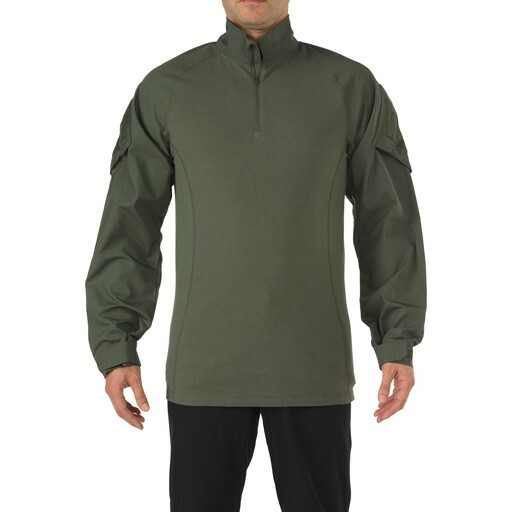 Compressed, stretch-knit fabric takes the weight of your body armor perfectly, without bunching, pinching, or chaffing. When you need high maneuverability and hard charging performance, the Rapid Assault Shirt is the only choice.